Higher education expenses may allow an early retirement fund withdrawal. 3. What Type of Retirement Accounts Can You Borrow From? Retirement accounts are intended to help you save money toward the day when you no longer wish to work or you are no longer able to work. It can be extremely difficult to get money from these accounts before you reach retirement age. Sometimes, circumstances may make it necessary to access these funds, but taxes and penalties may make it worthwhile to look at other sources of funding before you decide to liquidate these important assets. You can withdraw money held in an IRA account at any time by requesting a withdrawal. A traditional IRA withdrawal will mean that you owe taxes on the amount withdrawn, plus an additional 10 percent penalty if you are younger than 59 1/2. You can withdraw Roth IRA contributions at any time, tax-free, and you may be able to withdraw the earnings tax- and penalty-free depending on how long the account has been open. 401(k) withdrawals depend on the rules of your specific plan. You can withdraw equal annual payments depending on your life expectancy. For example, if the IRS calculates your life expectancy as another 25 years, you can withdraw 1/25 the balance of your traditional IRA each year. You must do this for a minimum of five years, unless you turn 59 1/2 before the five-year period is up. Some 401(k) plans allow this, as well, but check your individual plan for requirements. While this allows you to avoid the 10 percent penalty, you still will be liable for taxes on the withdrawn funds. Defined benefit plans, once a staple of retirement in America, pay a specified payment each month, as defined by the plan. Most of these plans do not allow early retirement, but occasionally they may offer a lump-sum buyout option, where you are paid a certain amount in cash in exchange for any future benefits. Many 401(k) plans allow loans from the account. You borrow the money, and pay yourself a fairly low interest rate as you pay it back. By doing this, you incur no taxes or penalties, and the money eventually ends up back in the account. Many plans have restrictions on the reasons for the loan, as well as the terms of the repayment. Also, if you lose your job and cannot pay the loan back relatively quickly, the IRS considers it a withdrawal and will assess taxes and penalties on the outstanding amount. IRA accounts do not allow loans. 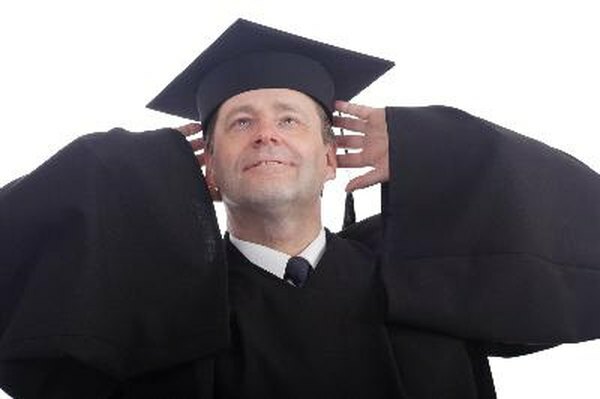 You can withdraw from an IRA plan penalty-free for higher education expenses at an approved post-secondary school. You can also use IRA funds for a first-time home purchase and avoid the penalties. If you are completely and totally disabled, the money is also available to you. If you are withdrawing traditional IRA funds, you must pay taxes on the withdrawal. These same withdrawals are generally not available from a 401(k) plan. Can Retirement Accounts Be Used As Collateral?